In this time of toxic jewing, saying IT’S OKAY TO BE WHITE is a revolutionary act. What a hateful RACIST! What a NAZI! Doesn’t this RACIST NAZI get it?! 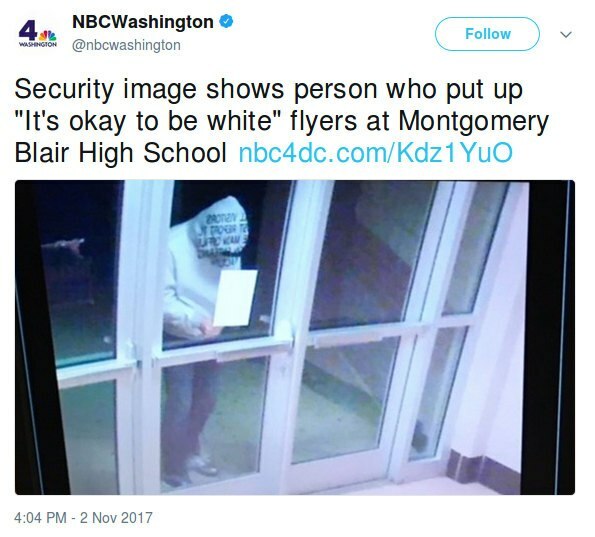 In the current year, it simply is NOT “okay to be white”!!! The wonderful and long-suffering People Of The Book have told us this, so it must be true! After all, it was white people, most of them CHRISTIAN MALES, who gassed 6 jabillion of those poor people and made lampshades and soap out of them in Nazi Germany and everywhere else!!! This WHITE DEVIL ought to be BEHEADED, along with his entire RACIST NAZI family! The nerve of this murderous, violent, genocidal NAZI DEVIL, claiming that it’s “okay” to be white! I hope the police find out who he is and just EXECUTE him on the spot! It would have been a great Halloween stunt to have had a monk in a white hooded cowl place fliers saying “White and Christian”. He could then give them a little splash water. Loxism is a racial animus – it springs from what jews are, not what Whites believe. What a garbage article. The sooner the post folds, the better, for everyone. This Howie Rubin incident fits the ((( template))) , again. Phil Specter, Marv Albert, David H Brooks, Marc Rich, Harvey Weinstein, Ilya Grigoryevich Ehrenburg, ….Lavrentiy Beria……. All the same. Oh no, behavior isn’t genetic, nope can’t be, we’re all the same. Beria wasn’t Jewish. But because of his lifework he is often carelessly lumped in with a crowd populated with and serving Jews. John Bolton won for himself the same fateful dishonour regarding neocons. I’ll differ with you on Beria. Everything about Beria was jish. One of six gorillion similar articles. The jewsmedia clearly thinks it’s NOT okay to be White. [Anti-White sociology professor] Thornhill said he thinks the signs are meant to be intimidating. “I think it’s meant to try to attempt to silence students or faculty or just Americans who are going to not tolerate racism, that are going to challenge it, that are going to demand racial justice in different social spheres,” he said. IOTBW fliers threaten university-sanctioned police-protected dissemination of militant non-White/anti-White (((victim narrative))) propaganda.